In recent decades, the general public has become interested in health-related topics and methods for maintaining and improving health. In response to this, there is an increasingly wide variety of supplements available for purchase at health food and drug stores. The variety can be confusing, however, when you go to make a supplement purchase. For instance, you may wonder whether you should be taking plain calcium or coral calcium to fulfill your calcium needs. It turns out that coral calcium offers no advantage, and may have disadvantages. Your body needs calcium in order to remain healthy. Not only is calcium a component of the compound that maintains the skeletal system, it also regulates your heartbeat and is crucial to muscle contractions, explains Dr. Lauralee Sherwood in her book "Human Physiology." When you take calcium supplements, you're never taking "plain" or elemental calcium -- instead, you're consuming calcium in the form of a salt. Calcium salts consist of calcium combined with a particle of some other identity. Coral calcium, for instance, is largely calcium carbonate. 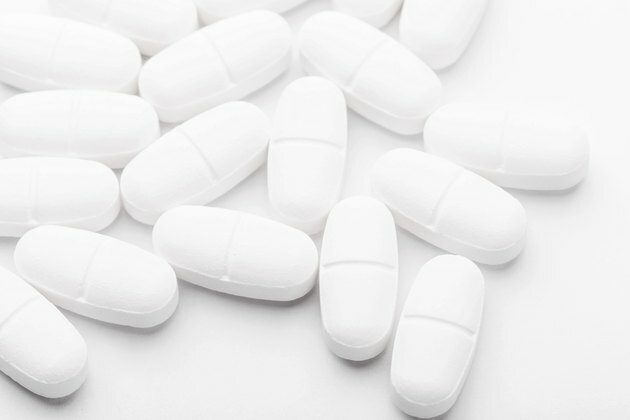 In determining which type of calcium supplement to take, there are two major concerns. The first is your ability to absorb the calcium from the supplement. Studies show that calcium carbonate -- the kind in coral calcium and the most common type of calcium in non-coral supplements -- is well absorbed, notes a 2007 article published by nutritionist Deborah Straub in "Nutrition in Clinical Practice." The second concern is cost. Calcium carbonate is the least expensive of the calcium salts, as long as it's from non-coral sources. Despite the fact that there are non-coral sources of calcium carbonate, and that these are generally less expensive than coral calcium, coral calcium remains popular in some circles. This is largely because of some propaganda in the early 2000s suggesting that coral calcium was responsible for the long lifetimes of individuals living in Okinawa, notes Straub. The claims were unfounded, and the FDA has since warned consumers against purchasing coral calcium over other sources of calcium carbonate. In addition to the fact that coral calcium has no health benefits over regular calcium carbonate, there are significant environmental and contamination concerns regarding its use. A 2004 article in the "Journal of the American Dietetic Association" notes that coral calcium can be contaminated with lead, which causes nerve and brain damage. Further, coral reefs are increasingly threatened by warmer and more acidic oceans. Harvesting of coral for supplementation purposes further threatens these important marine organisms. Journal of the American Dietetic Association: Is Coral Calcium a Safe and Effective Supplement?